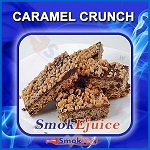 Caramel-bacco SmokEjuice - Premium Natural E-Liquid, Made in the U.S.A.
A rich tobacco blend tempered with smooth caramel! This blend is VG-heavy, so get ready for big clouds of vapor! 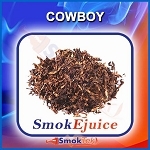 Please note: High VG e-liquid is excellent for increased vapor production. However, please note that because of its thicker viscosity, it may "gunk up" coils quicker, potentially shortening their lifespan. 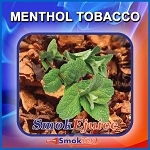 Premium Natural E-Liquid made with the highest quality, USP food grade PG/VG (20/80%) and alcohol based natural flavorings. Taste the difference! You don't taste that much bacon, but still it's smooth and has a decent flavor. I was scared at first, but I like it. I wouldn't smoke it daily I like Hooligans - Cider House the best, but this is nice for a change once in a while. I enjoy this one a lot. 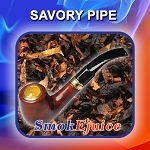 It vapes smooth and rich and has a nice sweet tobacco flavor. I love mixing this with blackberry and rum flaves as well. One of my favorites for sure! Good flavor, but vapes bad. As the title of this review suggests, I think this tastes a lot like a medium dark tobacco much like a smooth cigar or medium loose-tobacco with a subtle yet noticeable caramel taste to it. It's more of a smooth caramel than the sugary RY4 toffee-caramel but the tobacco flavour is certainly the most pronounced part of the flavour. I really like it. Not particularly fond of this one. Thought it would have tasted more like Caramel. All I really taste is a tobacco flavor. Cannot tell if there is any caramel at all.